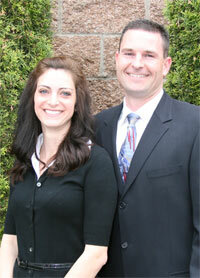 Ewen Macaulay D.C and Belinda Eddy attended Palmer College of Chiropractic West in CA, where they earned their Doctor of Chiropractic degree and graduated 1998. After fulfilling post graduate work they began practicing in the Lynnwood and Mill Creek area then opened Vital Chiropractic Center in 2003. They have been practicing for over 13 years. Their success is due to their philosophies of living a wellness lifestyle and how they implement them in their practice as well as in their own lives. They truly believe that a higher quality of life can be achieved with chiropractic, exercise, proper diet and stress reduction. By beginning your care with Vital Chiropractic, you are taking the right step towards great health.